Our friendly and knowledgeable staff are ready to answer any questions you have. I know you've worked hard and planned long for your home and all of your furnishings. 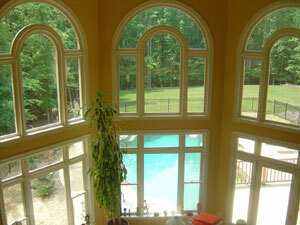 You may have beautiful views through your windows and you love the light they bring into your home, but these same windows can be a source of major problems with sun damage, excessive heat and glare. 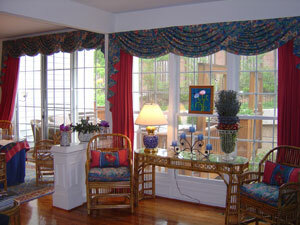 Closing your window treatments won't work. 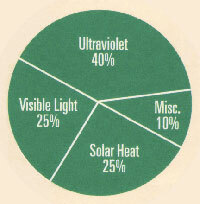 Sun damage can occur even if it's cloudy and even when the sun is not shining directly on the window. And when they're closed, there goes your view and the light. There is a Solution! Provide UV Fade protection for your furniture, drapes, carpets, woodwork, artwork, and more – Our films reduce up to 99 percent of the sun's destructive ultraviolet rays. While no film can stop fading completely, our films dramatically slow the progress of fading to keep your home looking beautiful. Cut annoying glare – By significantly reducing glare, our films help you do your work or relax without the added eyestrain from excessive light. Reduce heating and air conditioning loss providing increased comfort and energy savings - Reject up to 79 percent of the solar heat that may otherwise come through a window in summer and reduce winter heat loss by 35 percent by reflecting heat back into the room. Give privacy with 3M™ Decorative Films in your home or business - Decorative privacy films offers you a clean contemporary solution for any window where you need extra privacy and security, but do not want to sacrifice natural light. Typical applications: Street facing windows, Glass door panels, Bathrooms, Kitchens, Partitions for Offices, Glass cupboard doors, Patio doors. 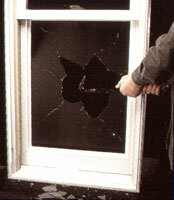 Prevent injury from glass fragments due to accidental breakage, crime, destructive weather and terrorism – Safety and Security window films help to seal out the water, the primary cause of property damage and they have a toughness that allows these films to withstand day-to-day abuse. 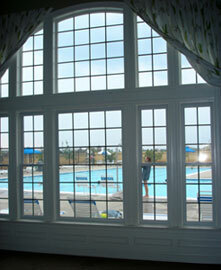 To help us help you with your glass tinting plans, please fill out our Online Request Form. 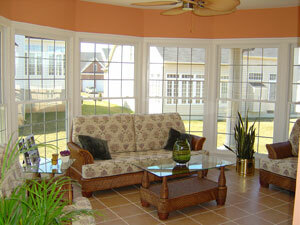 This Online Form will enable us to serve your home and business window tinting needs in a fast and efficient way. Or Call Us Today at 703 794-8468 for prompt and courteous service. Protect your family’s health - Reduce up to 99% of the sun's harmful ultraviolet rays from untreated glass that may cause skin cancer. The UV Film shield comes is clear or in a variety of shades and colors so there is certain to be a film that’s just right for you. Please look for our booth at your local Home and Garden Show where you can talk to our sales representatives about the destructive effects of solar heat and visible light on your furnishings. 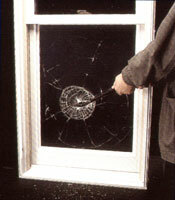 So Call 703-794-8468 for a free estimate and our helpful staff will insure you receive prompt service and great 3M™ Prestige Window Film products. Solar Eclipse Glass Tinting proudly serves the greater Washington DC area, Northern Virginia, and Southern and Eastern Maryland. We sell and service solar window tinting to homes and businesses in Prince William County, Fairfax County, Arlington County, Alexandria City, Loudoun County, Stafford County, Fredericksburg, Montgomery County and Prince Georges County. 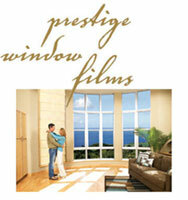 Residential Window glass film tinting products for your home in Alexandria City, Arlington County, Fairfax County, Fredericksburg and Stafford County, Loudoun County, Reston, Ashburn, Centreville, Dulles, Falls Church, Gainesville, Haymarket, Herndon, McLean, Rosslyn, Tyson�s Corner, Montgomery County, Bethesda, Potomac, Rockville. 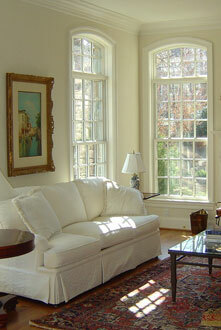 Commercial Window Film Arlington, Commercial Window Film Alexandria, Commercial Window Tinting Baltimore, Commercial Window Film Baltimore, Commercial Window Film Bethesda, Commercial Window Film Chantilly, Commercial Window Tinting Chantilly, Commercial Window Film Chevy Chase, Commercial Window Tinting Chevy Chase, Commercial Window Tinting College Park, Commercial Window Film College Park, Commercial Window Film Dulles, Commercial Window Film Fairfax, Commercial Window Film Falls Church, Commercial Window Film Gaithersburg, Commercial Window Tinting Gaithersburg, Commercial Window Film Greenbelt, Commercial Window Tinting Greenbelt, Commercial Window Tinting Herndon, Commercial Window Film Herndon, Commercial Window Film McLean, Commercial Window Film Reston, Commercial Window Film Rockville, Commercial Window Film Silver Spring, Commercial Window Tinting Silver Spring, Commercial Window Film Rosslyn, Commercial Window Film Tysons Corner, Commercial Window Film Vienna, Commercial Window Tinting Vienna, Commercial Window Film Washington DC, Commercial Window Tinting Washington DC.